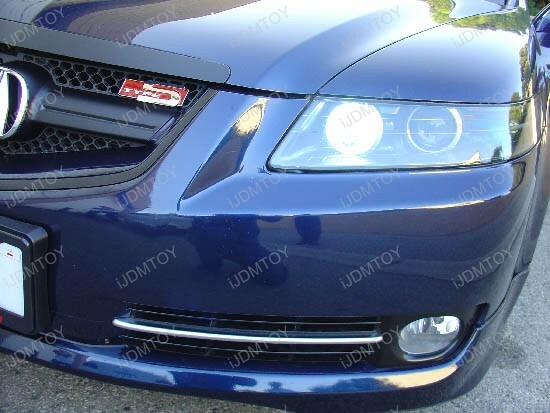 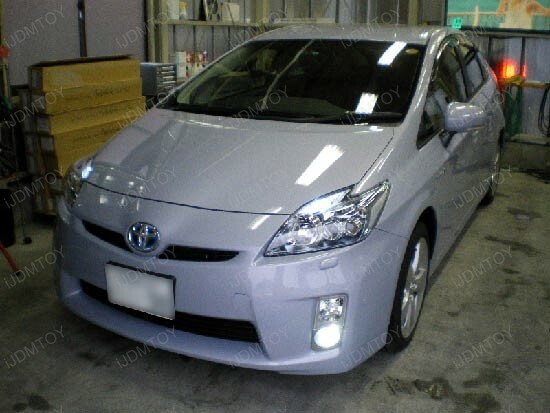 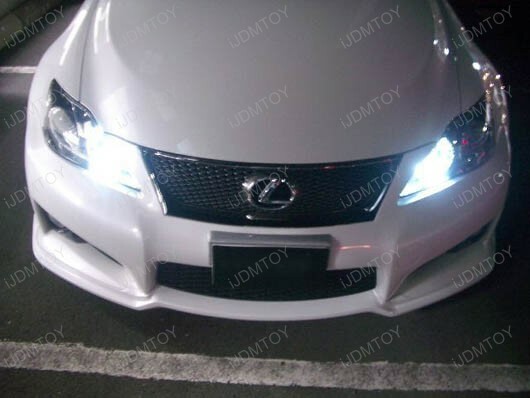 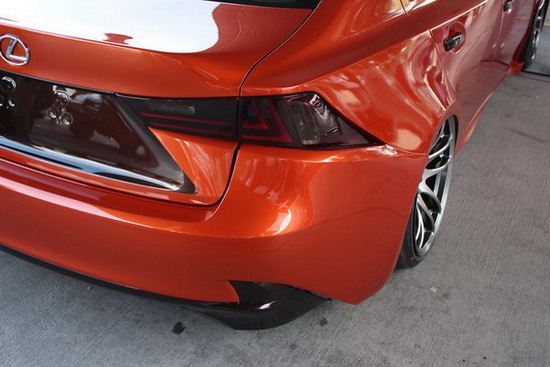 If your car came standard with halogen fog lights and you want to switch to LED for a matching look, then a set of LED Conversion Kit for Fog Lights will definitely do the trick. 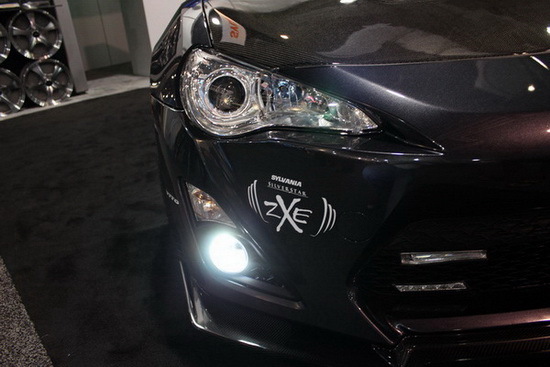 You get an HID "equivalent" 15W high power output so that your fog lights will look the same as your HID headlights. 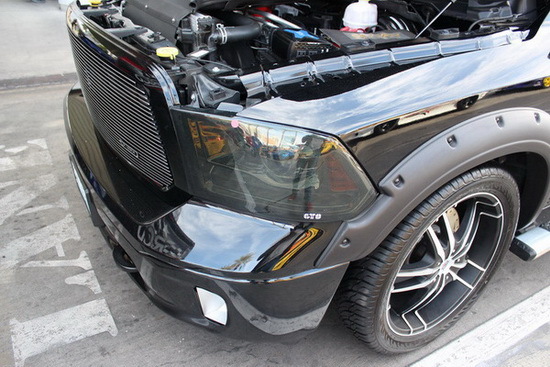 The diffusion mirror in the assembly has a better output plus a cut-off line look that looks like it came with a huge sticker price. 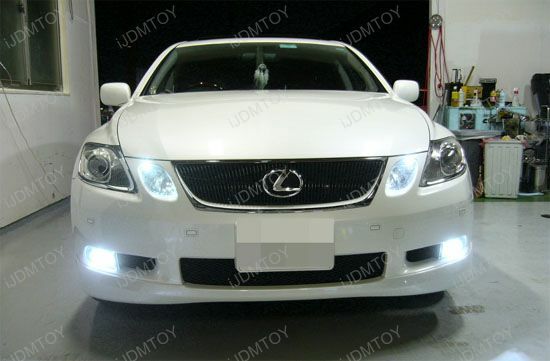 Ever since the release of our 50W CREE high power LED replacement bulbs, they have been used on a variety of cars that are looking for the most light output from an LED bulb. 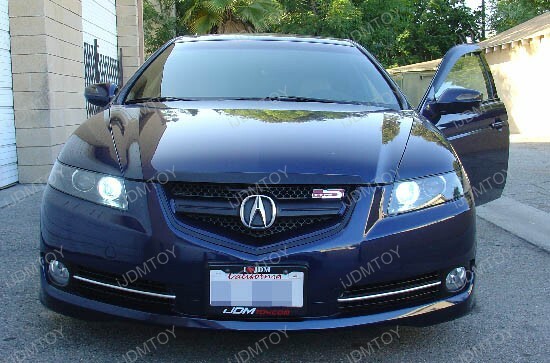 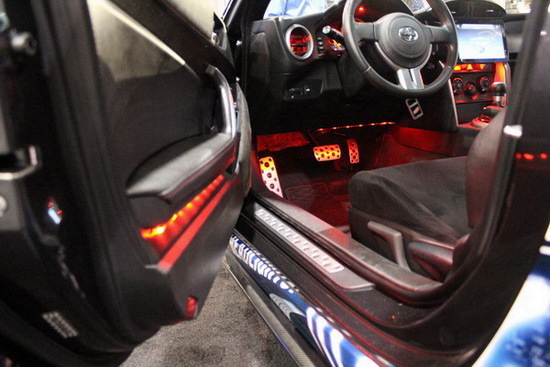 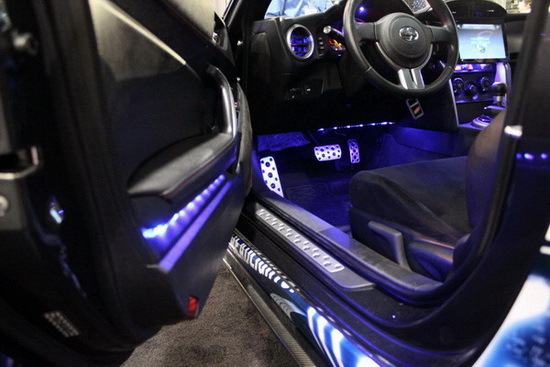 The extra components that have to be installed when getting HID or LED conversion kits makes them less desirable to some so they turn to replacement LED bulbs instead. 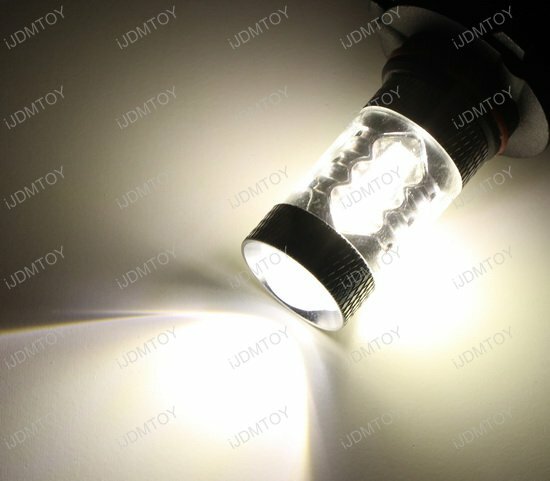 These types of lights are not as bright as the conversion kits, but they still do a great job of producing an enormous amount of light from the bulb. 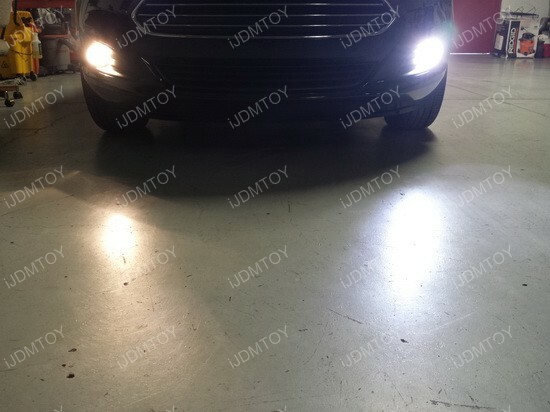 This 50W CREE H11 LED bulb is the answer for this situation. 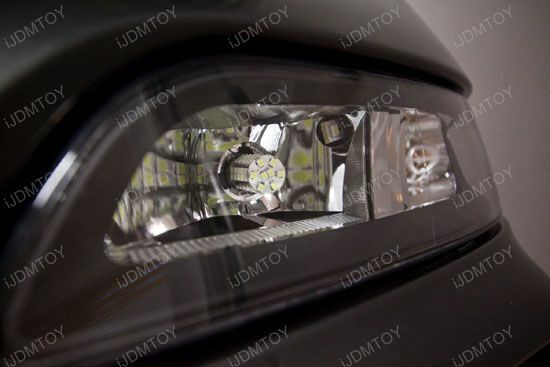 Each H11 CREE LED fog light bulb has ten individual LED diodes made by CREE; the chips used are the R4 XP-E series which are one of the brightest in the market today. 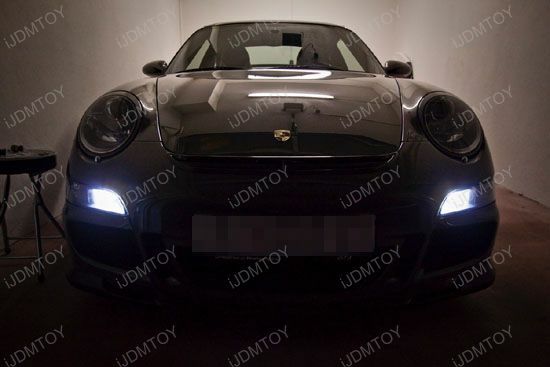 There are eight on the side and two on the top underneath a magnifying optical lens projector which produces a lot of projection for visibility. 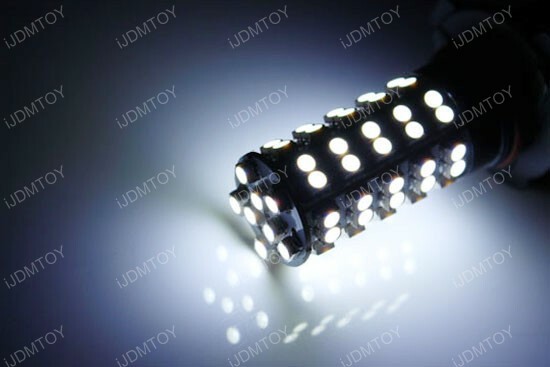 The lights operate at 10W for a bright, yet reliable output capacity; these are rated to work up to 50W, but there will be heat issues associated with that. 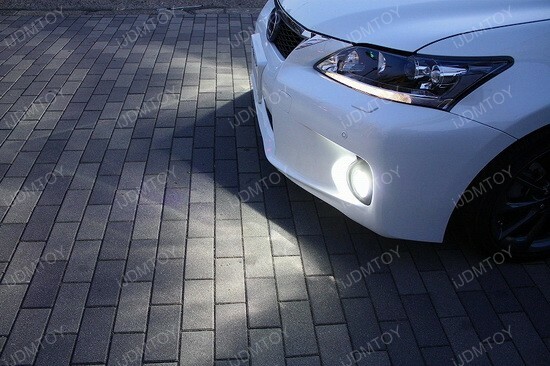 The unique design of the lights allow the light to project the light as well as provide a 360 degree output of shine which fills up the light housing very well. 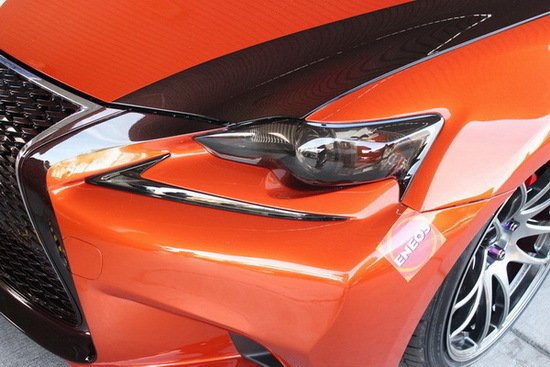 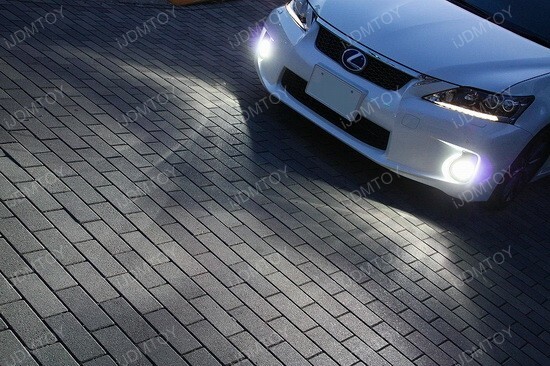 Because these LED bulbs operate at 10W, they are ideal for usage as fog lights and daytime running lights. 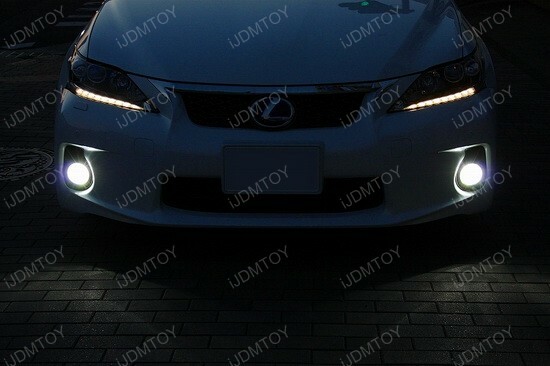 They are bright enough to be seen by other motorists, but not to the point where they can be used as primary driving lights. 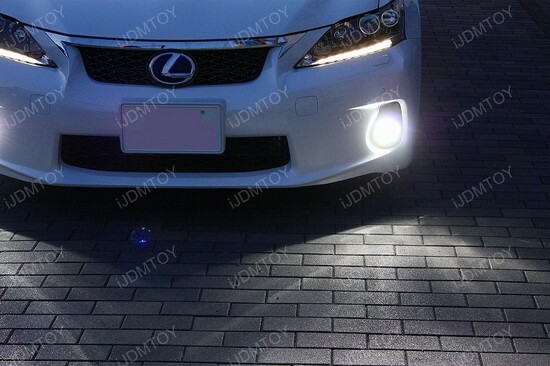 These particular 50W CREE H11 LED bulbs on this 2012 Lexus CT200H required no additional components for using it inside the fog lights, but using them inside daytime running lights may require decoders/resistors. 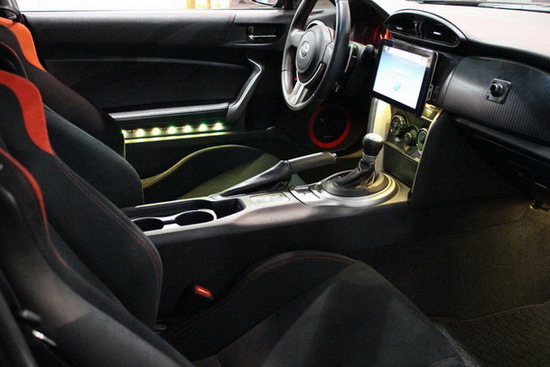 European vehicles will also need the same type of resistor/decoder setup as well due to the error message system in place. 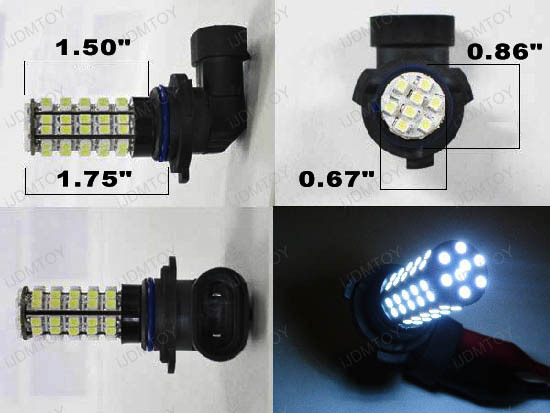 The 9005 size is equivalent to HB3 and will also fit 9145 housings. 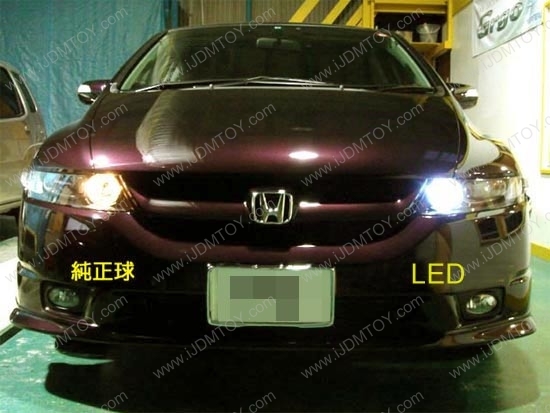 This page features a pair (2 pieces) high power HyperFlux 68-SMD 9005 (aka HB3) LED bulbs, designed by I.P.F from Japan. 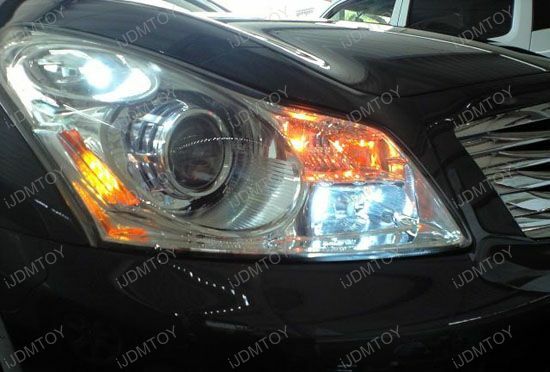 This LED bulb is direct replacement for the stock 55W 9005 (aka HB3) halogen bulb for fog light or daytime running light. 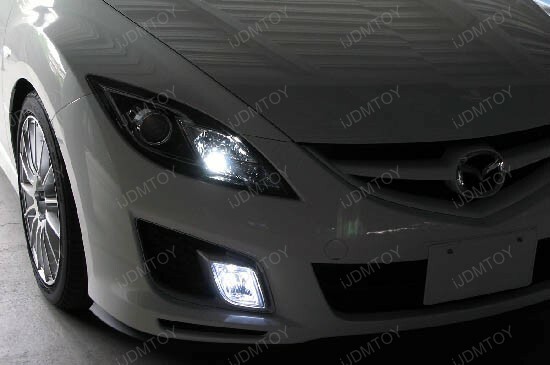 This aesthetical “add-up” will transform your stock yellowish halogen fog lights or daytime running lights into a beautiful and exact 6000K Ultra White HID look without paying the HID price. 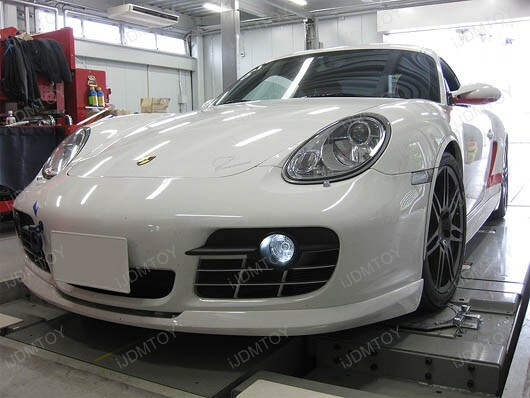 Note: for some vehicles like Audi, BMW, etc which have on board computer (OBC), you might need to add a pair load resistors in order to avoid the error message showing up on dashboard or bulb malfunction problem. 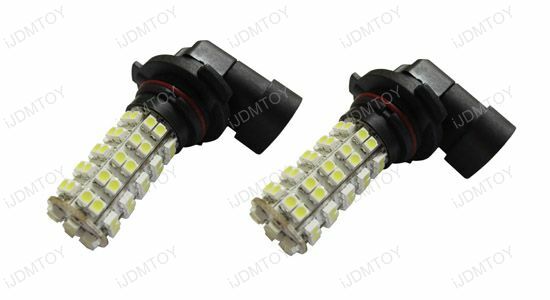 One pair Xenon White 68-SMD 1210 9005/9145/HB3 HyperFlux LED bulbs.